08:42AM EST - Thanks everybody! 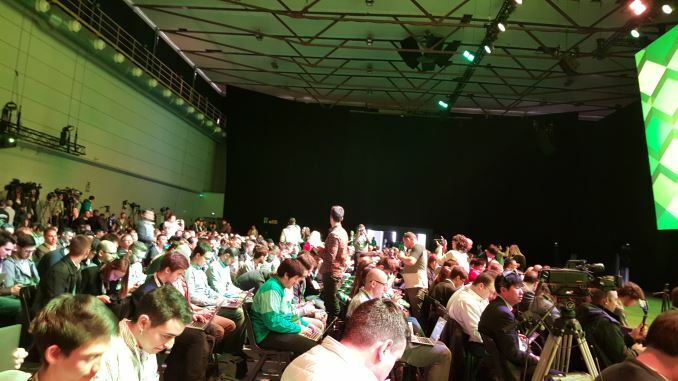 Hopefully it was as exciting for everybody else for my first solo live blog! 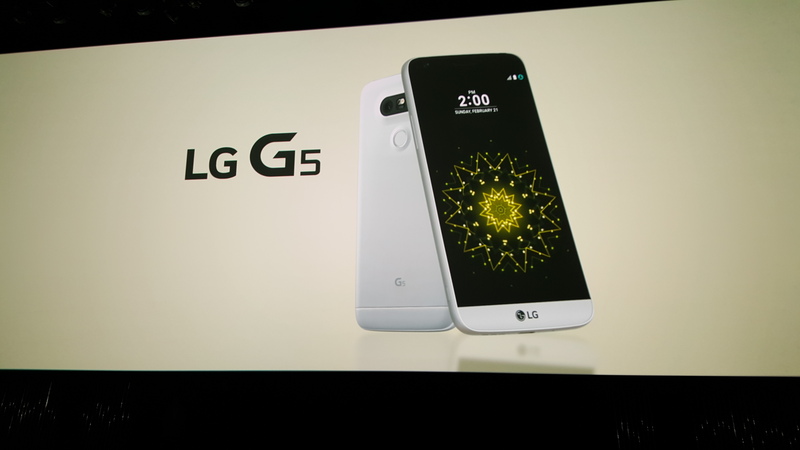 08:41AM EST - It's time to wrap things up and get to the hands-on section to have a better look at the G5. 08:41AM EST - The battery is 2800mAh. 08:40AM EST - Specification for the screen are 5.3" 1440p IPS display. 08:40AM EST - Things are wrapping up here. 08:40AM EST - "The LG G5 is the most exciting new phone at MWC"
08:38AM EST - The Friends Manager will take care of all the accessories for the G5. 08:37AM EST - The accessories will have no settings and will require only 3 steps to get going and pair the "Friends" with the G5. 08:36AM EST - It's not clear if this is solely limited to Parrot drones. 08:35AM EST - It allows for controlling and flying of drones with just one hand. 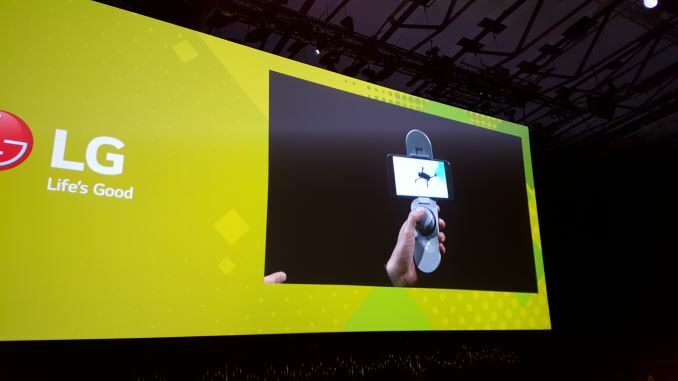 08:35AM EST - It's a smart controller which uses the G5 as a screen. 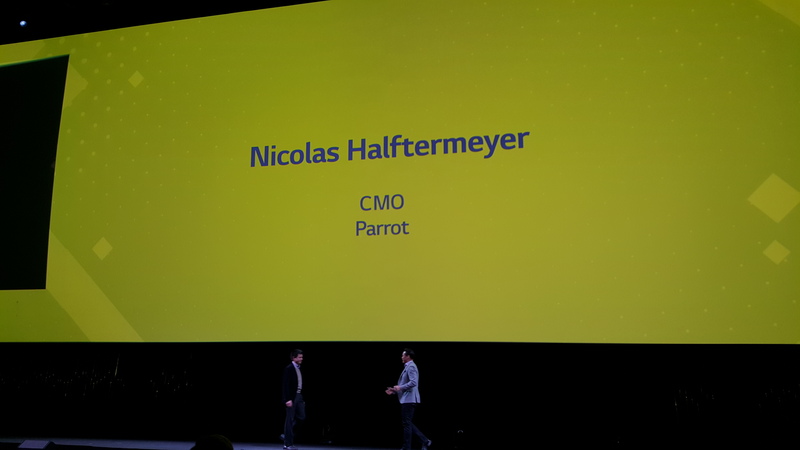 08:34AM EST - Next up Parrot's spokesperson for the drone accessory. 08:33AM EST - There's an IR transmitter on the bot which will be able to control various devices. 08:33AM EST - It even has a laser! 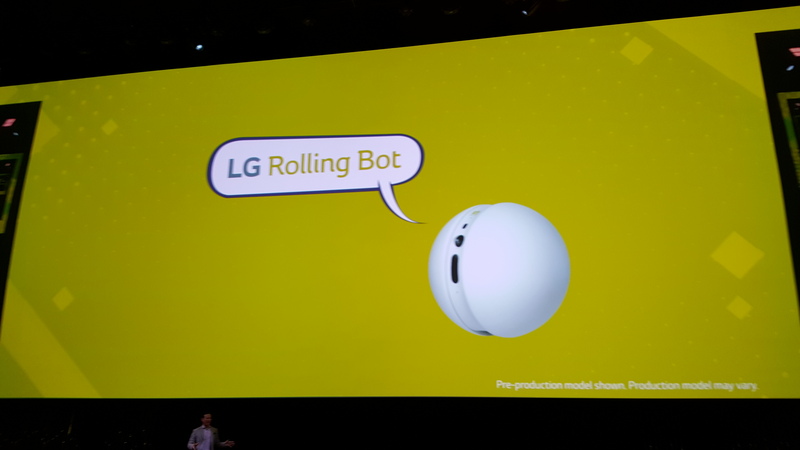 08:33AM EST - The LG Rolling Bot is connected via WiFi and can be remote-controlled via phone. 08:31AM EST - The G5, thanks to the Snapdragon 820 will also feature the full speed of the X12 modem. 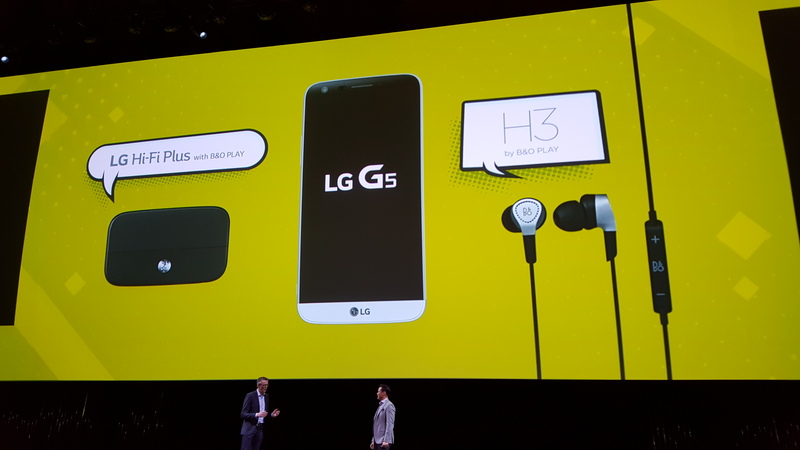 08:31AM EST - G5 uses AptX HD for best quality wireless audio streaming to headsets and speakers. 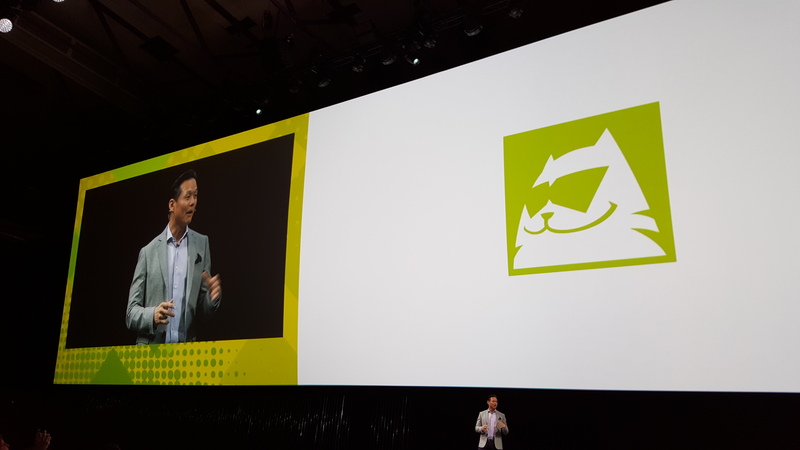 08:30AM EST - G5 uses AptX HD for best quality wireless audio streaming to headsets and speakers. 08:29AM EST - We'll surely be looking forward to put that claim to test! 08:29AM EST - "Consumers will be able to use their G5 camera and experience DSLR quality." 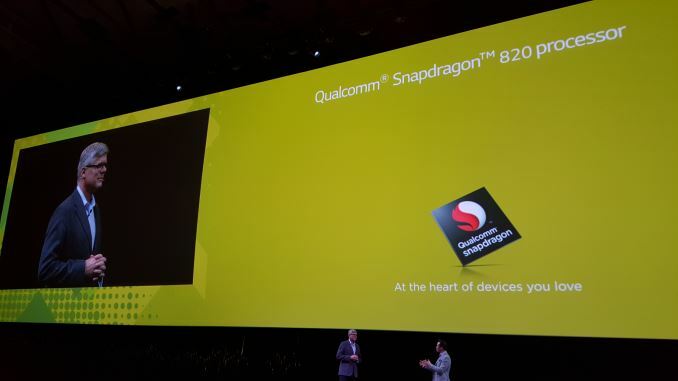 08:28AM EST - "The Snapdragon 820 has the performance and power efficiency to playback 360° videos and photos." 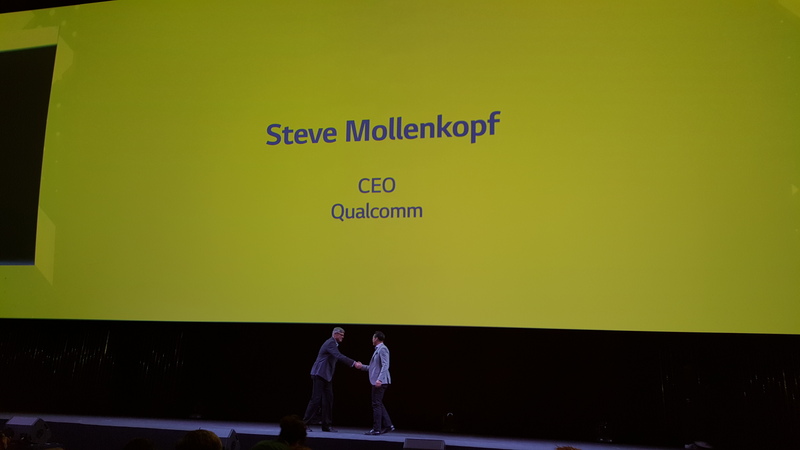 08:28AM EST - Qualcomm CEO Steve Mollenkopf now on stage on the collaboration between LG and Qualcomm. 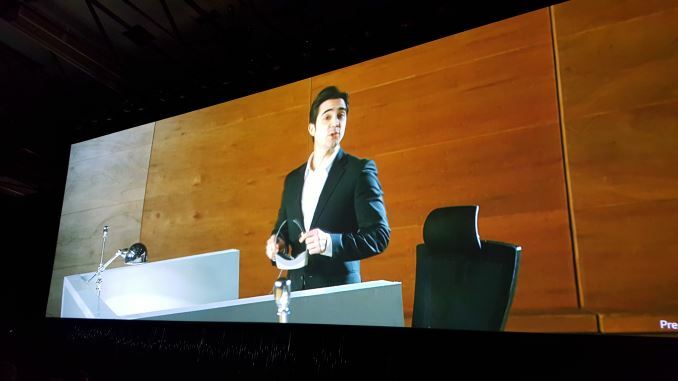 08:27AM EST - The headset is only 116g heavy. 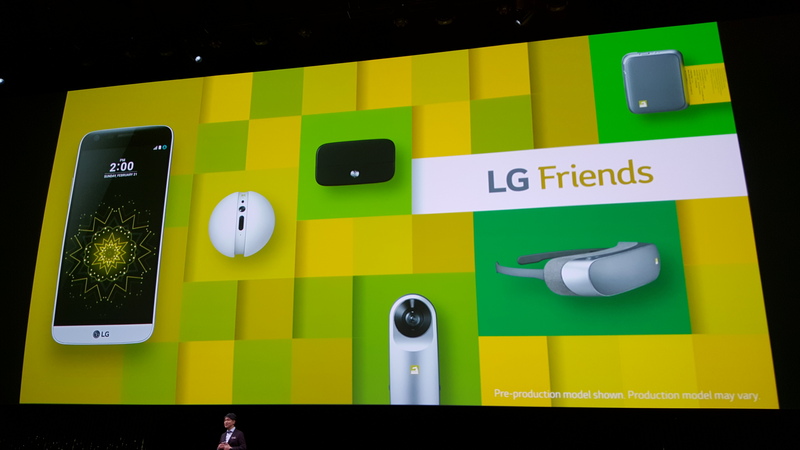 08:26AM EST - LG's VR headset is promised to be light and be similar to wearing a pair of shades. 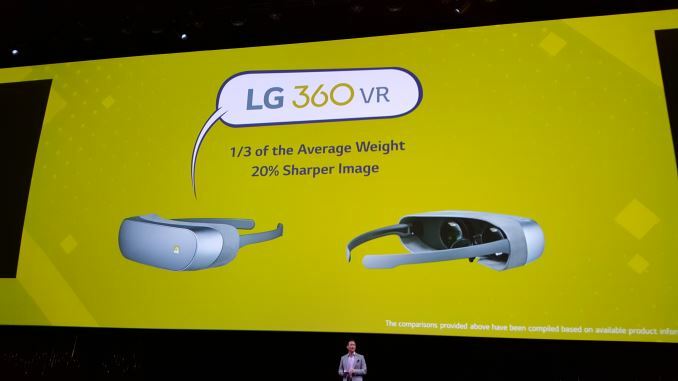 08:26AM EST - LG is making fun of existing VR headsets. 08:25AM EST - Virtual Reality is up next. 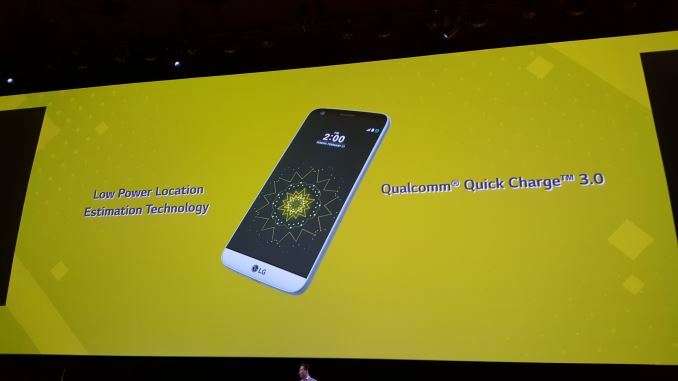 08:24AM EST - It will integrate with Google Maps. 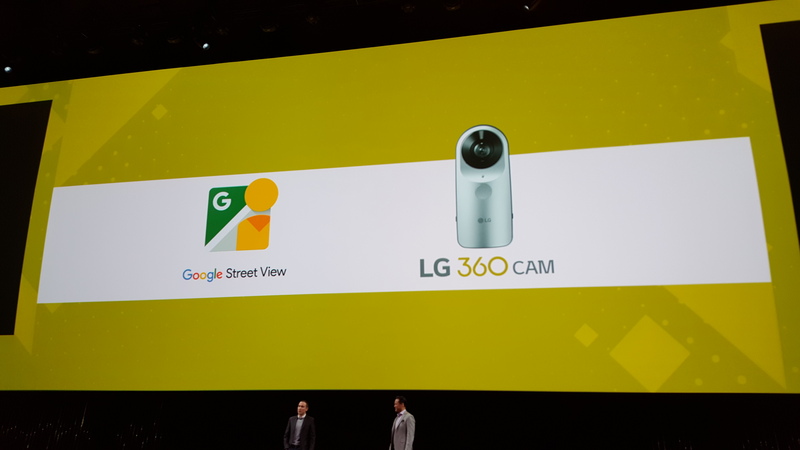 08:24AM EST - Google will store 360CAM pictures at full resolution for free. 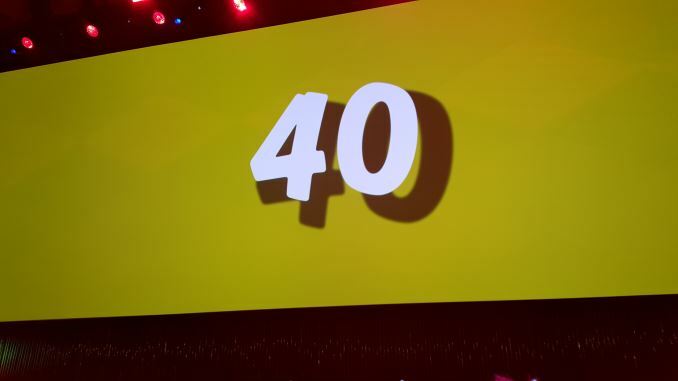 08:24AM EST - Google has been laying the foundation for this for some time. 08:23AM EST - LG cooperates with Google's StreetView. 08:23AM EST - The 360 CAM will be able to record in 16MP. 08:23AM EST - 360 content is promised to be a popular social media medium. 08:22AM EST - It looks to have two wide-angle lenses to achieve the 360 FOV. 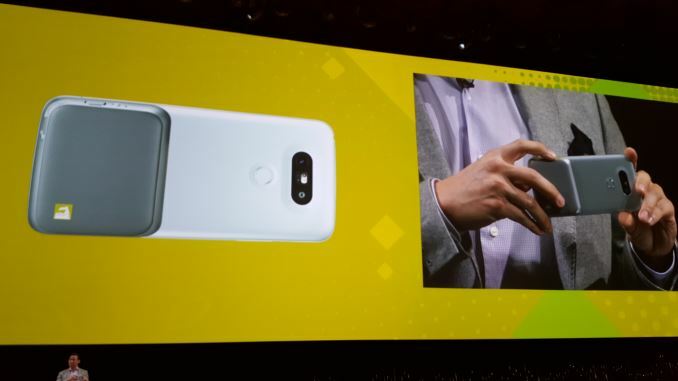 08:22AM EST - This is an external camera which seems to connect to the G5. 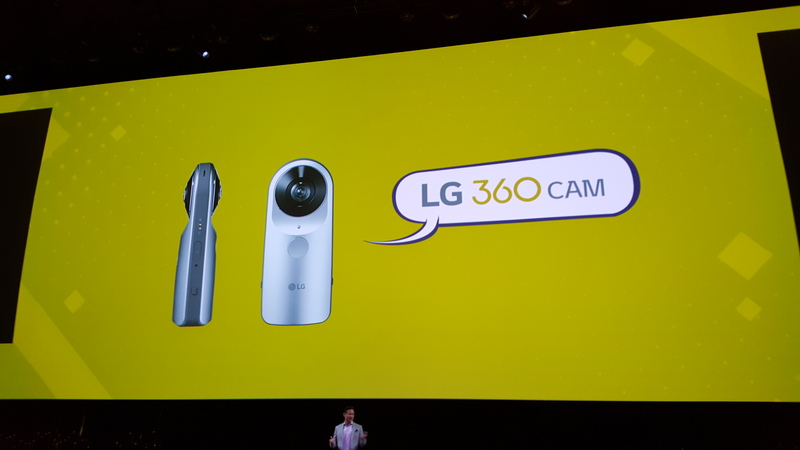 08:21AM EST - First up comes the 360° camera. 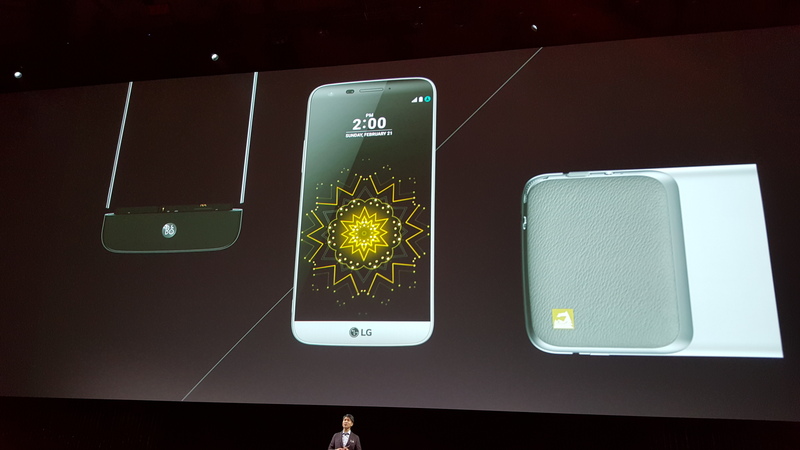 08:21AM EST - Again LG talks about the accessories for the G5. 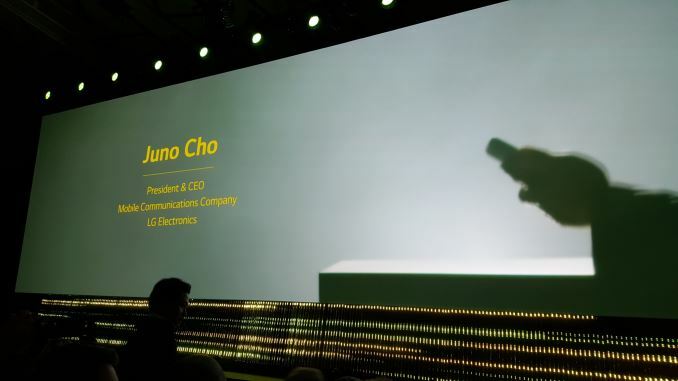 08:20AM EST - There will also be high-end in-ear headphones available from B&O. 08:19AM EST - The DAC is a 32bit unit with high fidelity sound output. 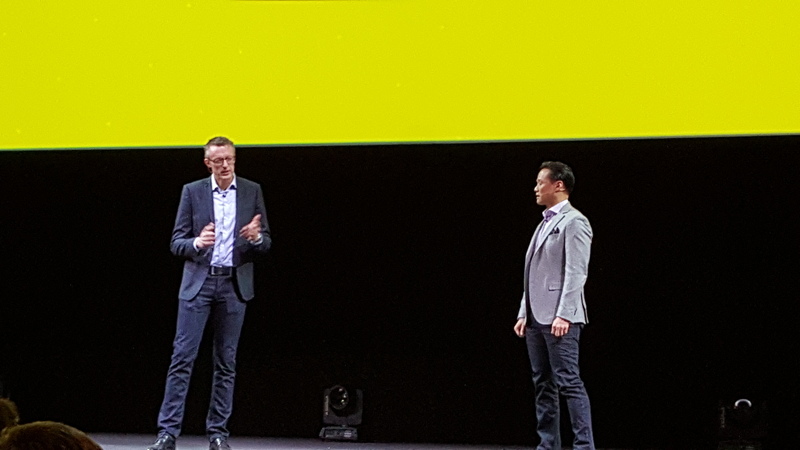 08:18AM EST - Stefan K Persson from Bang & Olufsen now takes the stage. 08:18AM EST - There's also a zoom wheel. 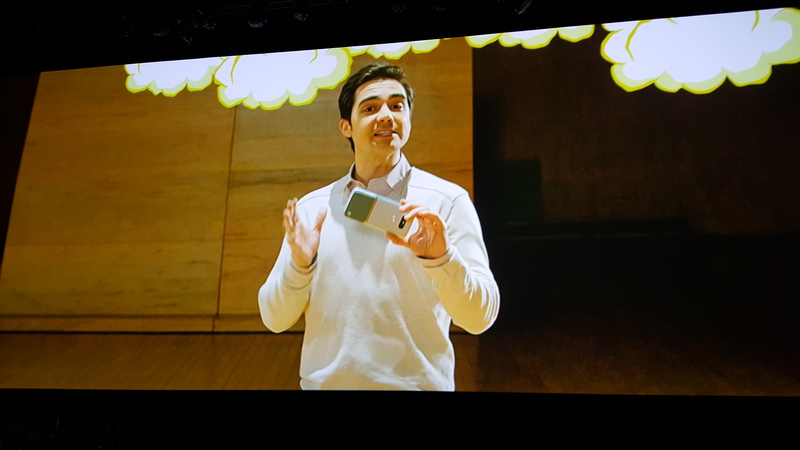 08:17AM EST - The CAM+ has a dedicated shutter button for both still pictures and video. 08:17AM EST - Among the first addons is also an audio module with B&O DAC. 08:16AM EST - You'll be able to also just use it as a battery pack. 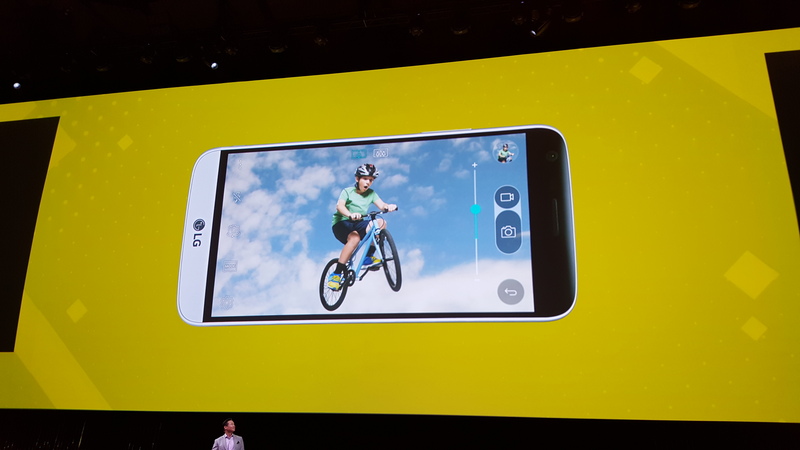 08:16AM EST - The LG CAM+ is an addon with camera controls and an extended battery. 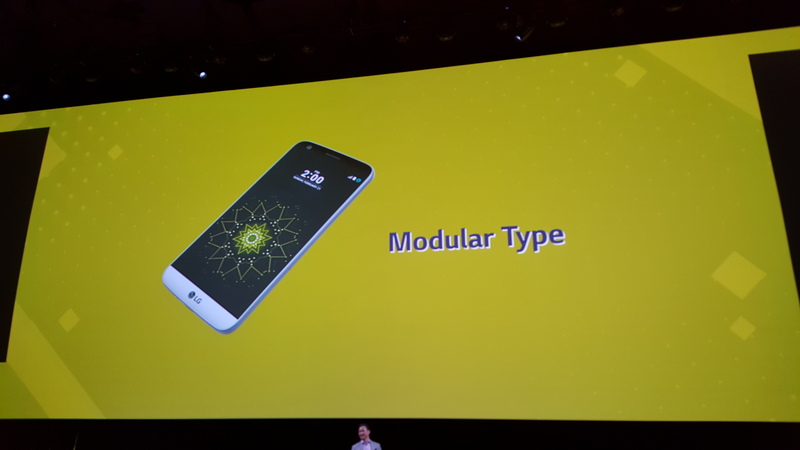 08:15AM EST - We're back to talking about the modular design. 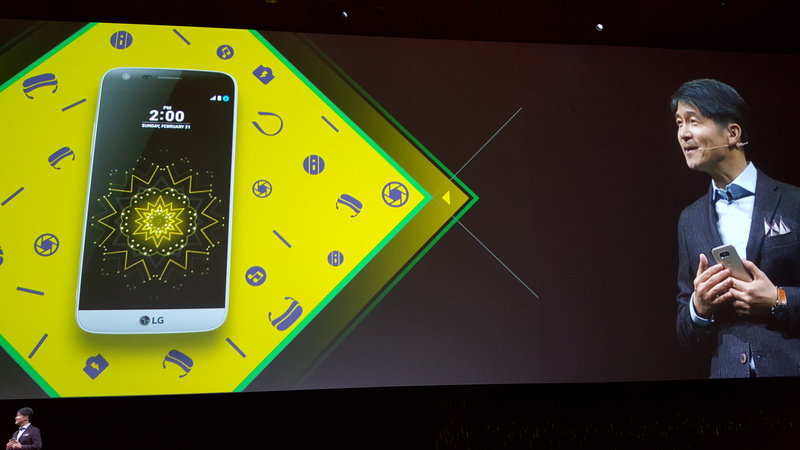 08:14AM EST - The G5 is powered by Qualcomm's Snapdragon 820 SoC. 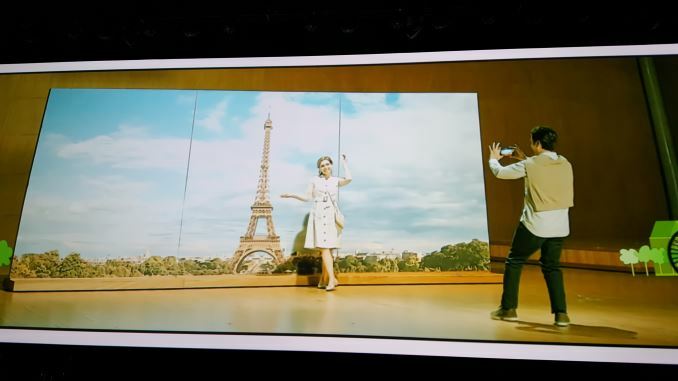 08:14AM EST - You'll be able to zoom in and out to switch between the cameras. 08:13AM EST - Comparison between the normal camera and the wide-angle lens. 08:13AM EST - Depending on the lighting it will reduce brightness automatically. 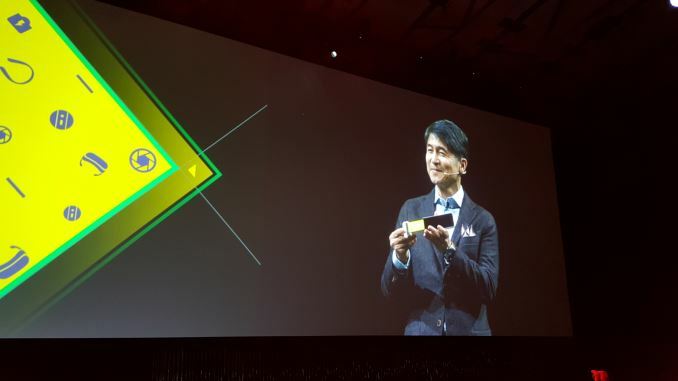 08:12AM EST - The AOD will only take 0.8% battery per hour. 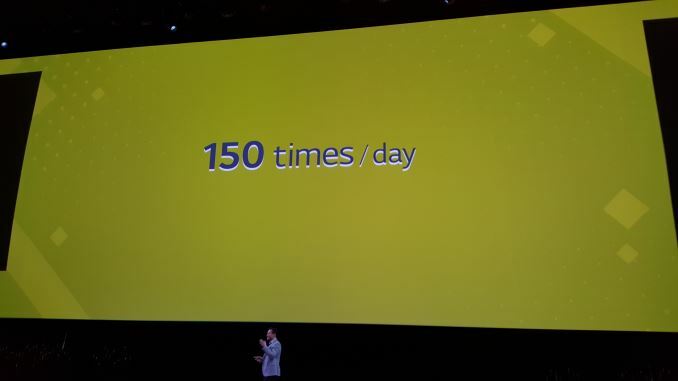 08:12AM EST - A person checks their phone / turns it on on average of 150 times a day. 08:12AM EST - Enabling wider shots and capturing more of the scene. 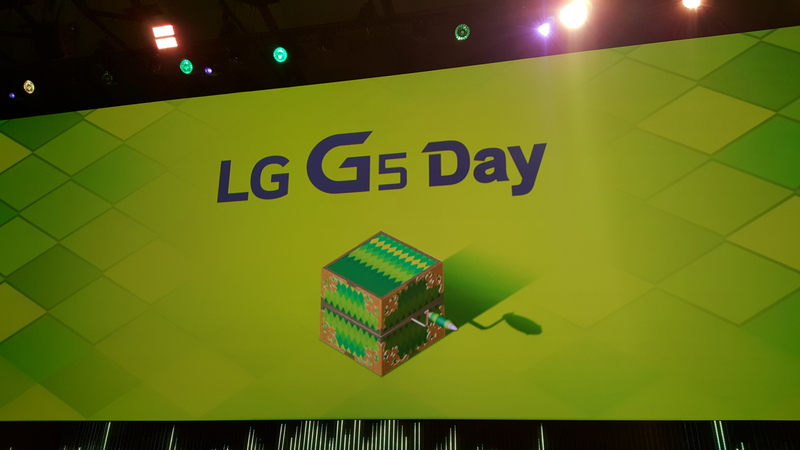 08:11AM EST - The G5 camera system will have a large field of view - 135°. 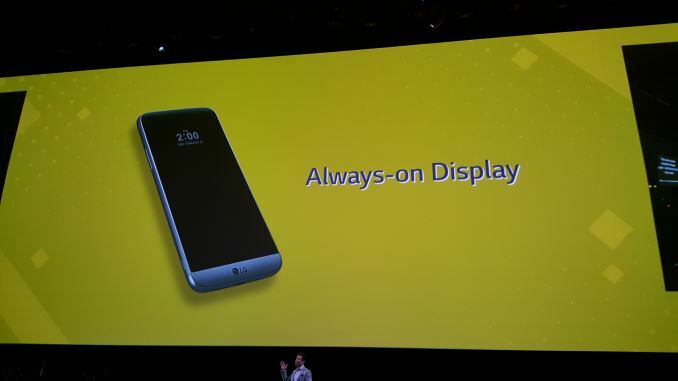 08:11AM EST - The G5 will have an always-on-display able to display time at all times. 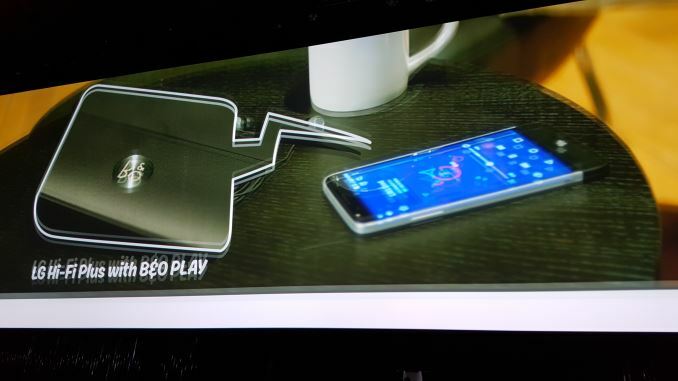 08:10AM EST - You can slide out a depleted battery with a new one in just a minute. 08:09AM EST - The G5 was designed with practical innovations in mind. 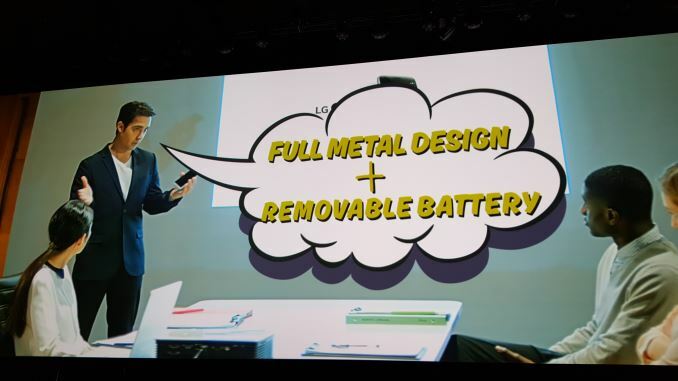 08:09AM EST - Large emphasis on the fullmetal design with removable battery. 08:08AM EST - We're now diving into the design. 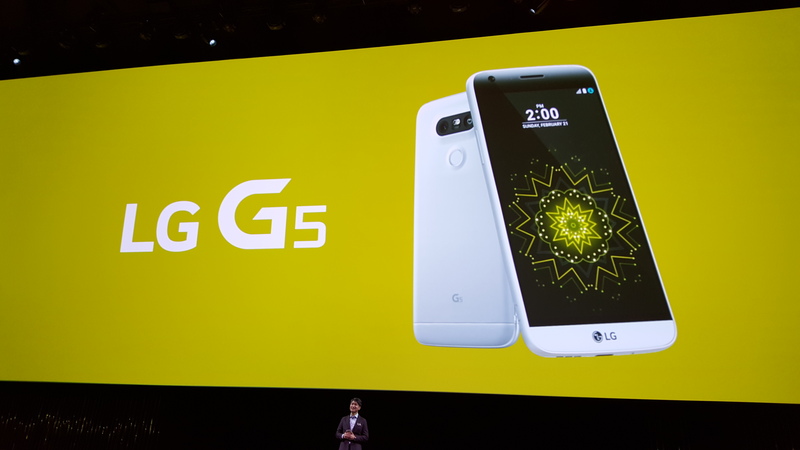 08:07AM EST - The G5 will launch simultaneously in key markets. 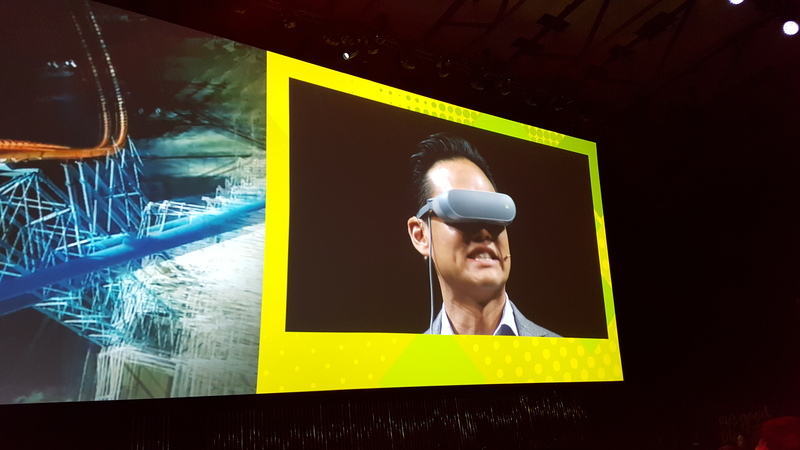 08:06AM EST - The G5 will be able to have a VR Headset and a 360° camera accessory. 08:05AM EST - The G5 doesn't compromise its removable battery due to the full metal body. 08:05AM EST - He just pulled out the bottom part of the phone. 08:04AM EST - LG calls the G5 a theme-park in your pocket. 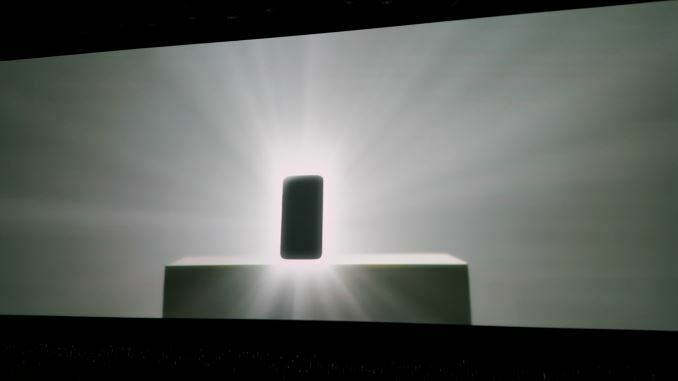 08:04AM EST - The G5 has a fullmetal body. 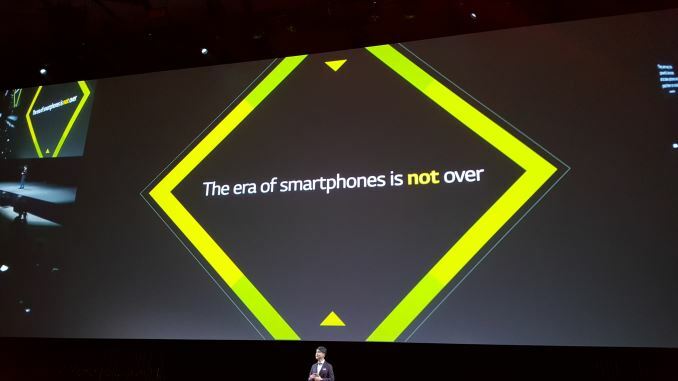 08:04AM EST - Says the best times of the smartphones are still ahead. 08:03AM EST - The ecosystem has calmed down - no more excitement as back then. 08:03AM EST - Talking about the smartphone wars - things started off a few years. 08:02AM EST - Jun Cho, President and CEO of LG taking the stage. 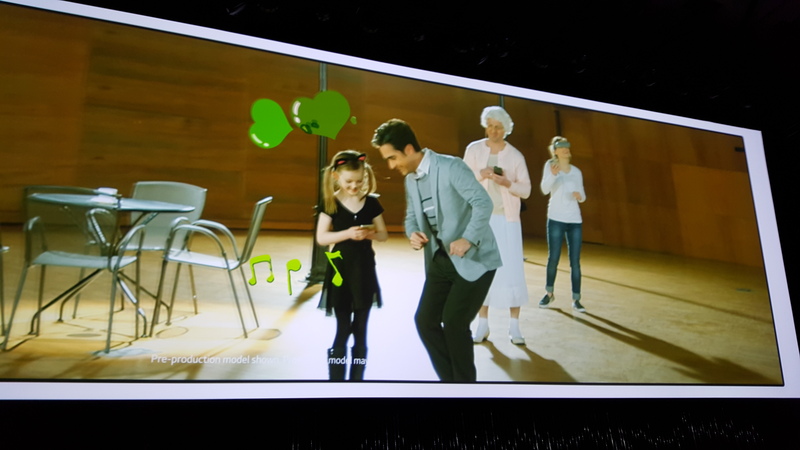 08:01AM EST - Intro with lots of activities playing right now. 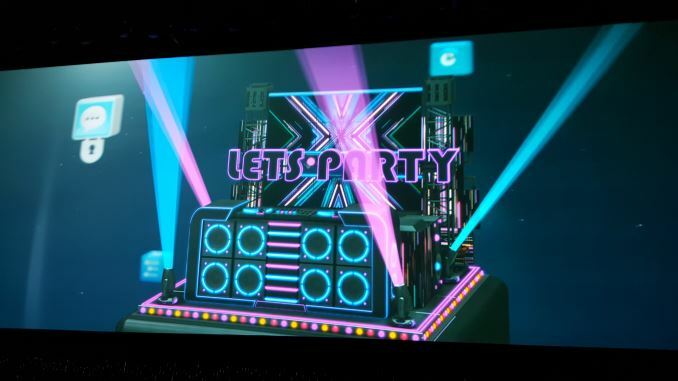 08:01AM EST - Party and fun is very much the theme of the event! 08:00AM EST - It's started. 07:59AM EST - 40 seconds to go? 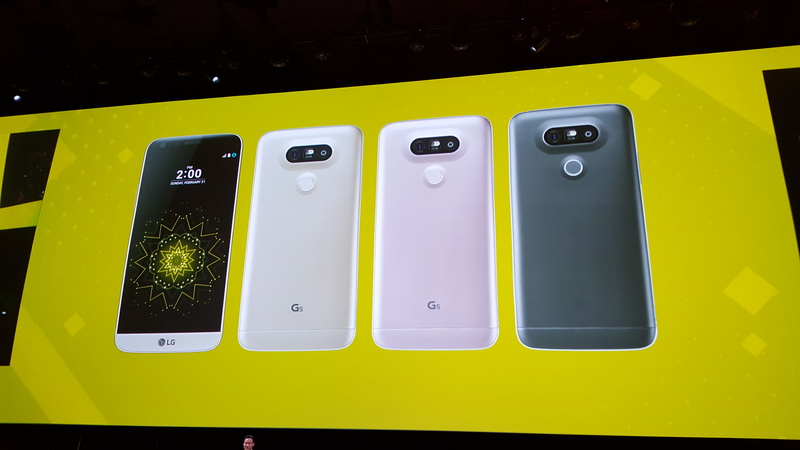 07:57AM EST - I'm definitely curious about the G5's camera performance and what kind of direction LG went with the G5. 07:55AM EST - 5 minutes to go. Music is starting. 07:54AM EST - My hotspot is an S6 - hopefully LG doesn't notice! 07:52AM EST - Still plenty of people coming in late - although I don't see any free seats from my viewpoint. 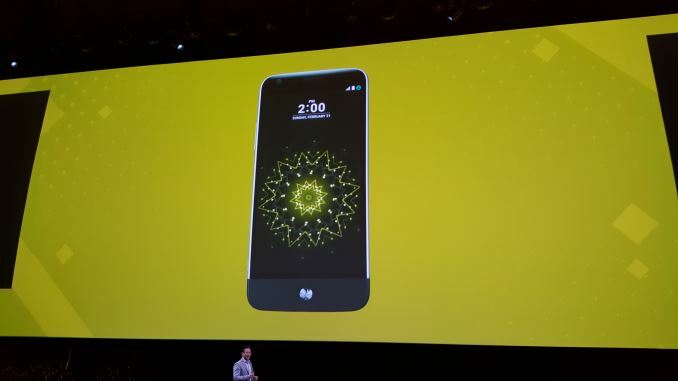 07:51AM EST - LG launches the G5 early this year - the G4 was released in May last year. 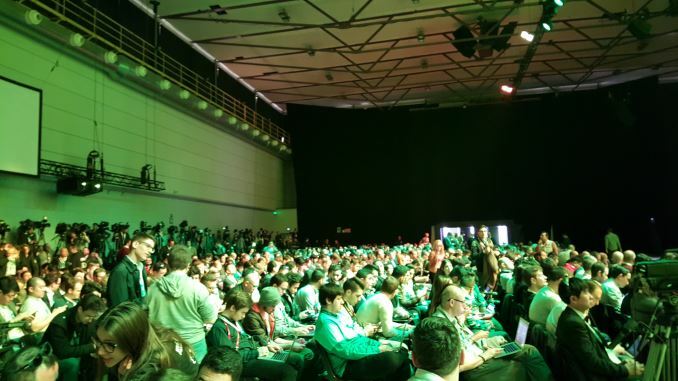 07:49AM EST - 10 minutes to go until the presentation should start. 07:34AM EST - I think this might be the first time LG has had such a large venue for a launch - very similar feeling to Samsung's launches. 07:30AM EST - Hopefully the internet here survives the crowd, it's half an hour to the launch but it's already getting full. 07:29AM EST - Hello everybody, Andrei here from LG's G5 launch event in Barcelona! This is just tragic, they go way bulky and way ugly and they create a dumb proprietary slot, then go on and not really use it. A camera grip , really? You can make a case that is far more useful and not require that slot, same for the DAC and the other 48 ideas they never thought about yet. If you are gonna make a proprietary connector and a huge one like this, you better have a good reason to do so. they just got lost somewhere in the coolness of the idea and did nothing, nothing at all with it, besides the ability to swap the small battery. 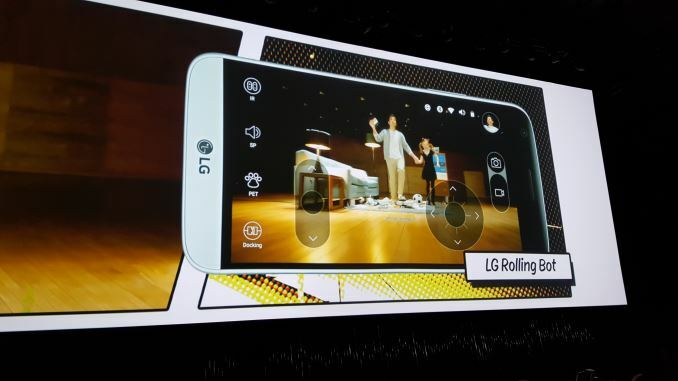 The accessories are mostly positives but ,when you ruin the main device, what's the point. 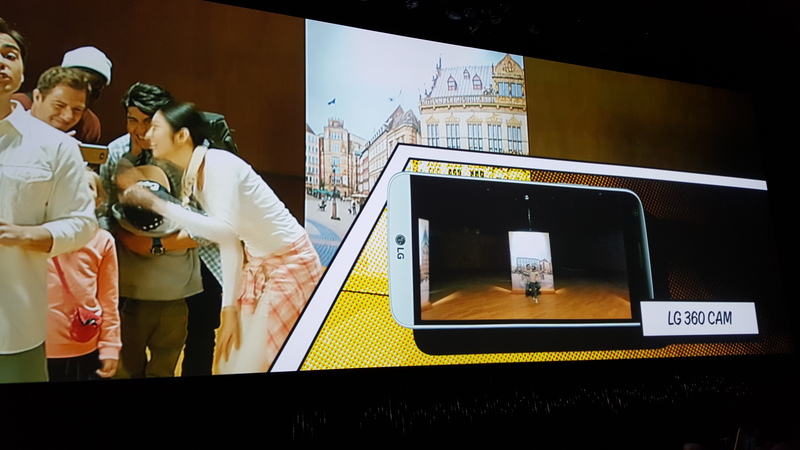 Smaller screen than the G3 but taller device, that''s where 2 years of technological evolution got them to. 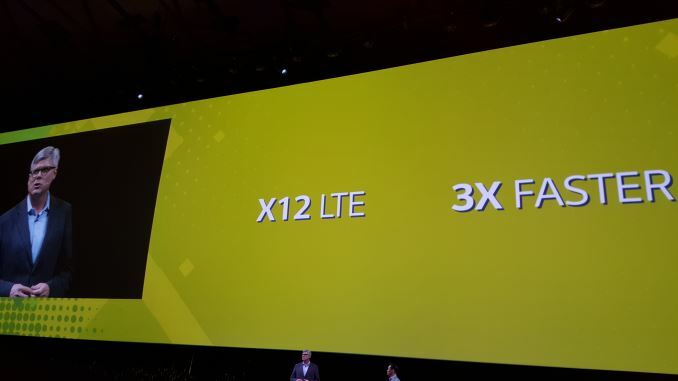 1440p flat, 4GB of RAM and the same SoC as everybody else won't get anyone excited. The ugliest flagship they have designed in a long time- not a plus either. 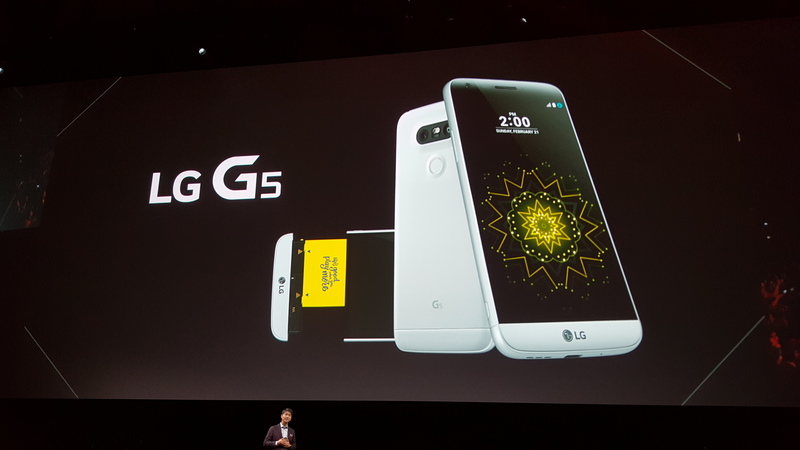 To be fair, the G4 was the least expensive flagship last year. But yeah, the G5 is u-g-l-y and has no alibi. I would criticize it for other points. Smaller battery, slow updates, and no monthly android security patches. 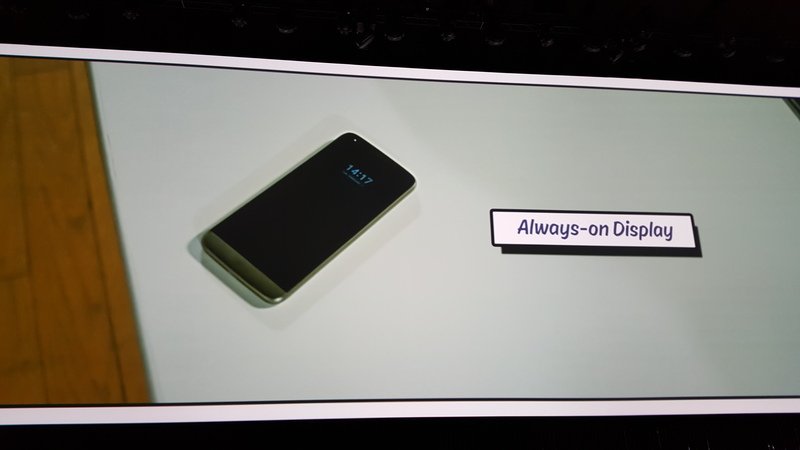 LG was one of the only manufacturers that would not commit to security updates. 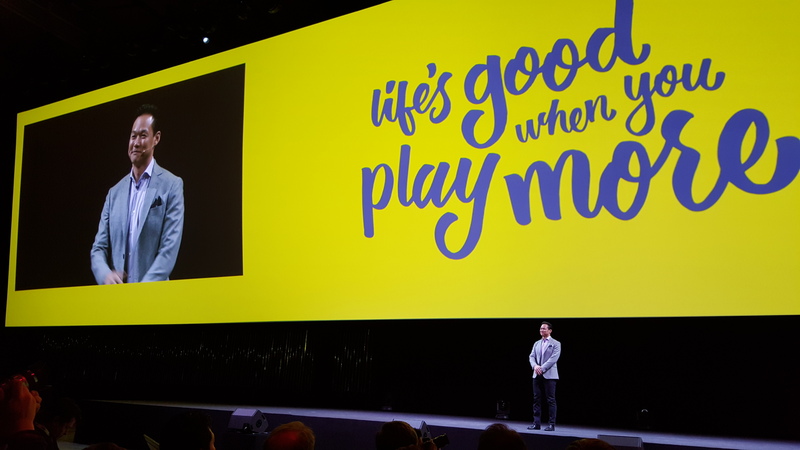 The device seems to be *capable* of many new features, but it seems like anyone wanting the better camera, etc will have to pay extra for it. 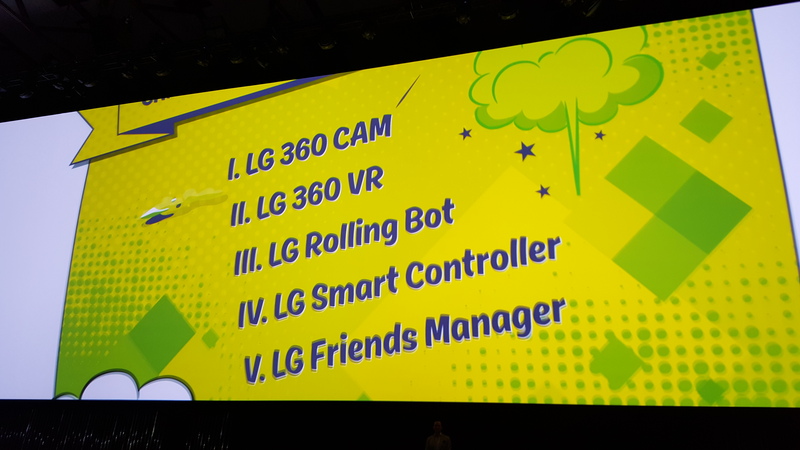 Will there be special promotions to have one of these neat addons via mail in promotion like the g4? Or will they just be giving away batteries like the g4? The dac I can see some people using, personally I don't really use the headphone out on my phone as use BT for my headphones and for my car connection. The camera grip though, what is the point of that? Do you just have it on your phone at all times and live with that unwieldy bulk at the end? 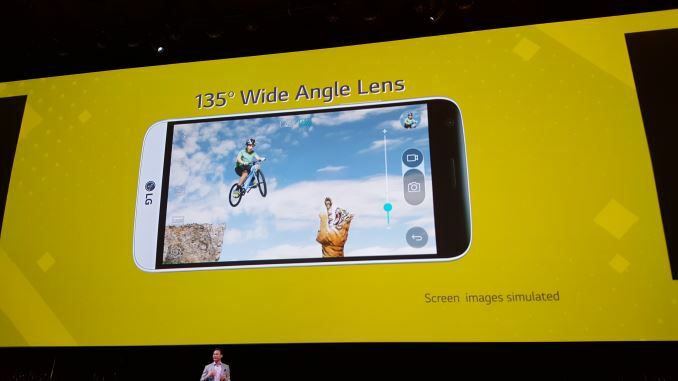 Or do you carry it around with you, and switch it out.... which begs the question why are you not getting a ultraslim point and shoot, which will be better than the phone, or just going all out and bringing a DSLR camera.